Just because Piper's birthday is on Valentine's Day does not mean she's a romantic. In fact, after watching her father and then her stepfather leave, she's pretty sure she doesn't believe in love at all. Then her friends concoct a plan to find them all Valentine's dates, and somehow Piper finds herself with the most popular guy in school. 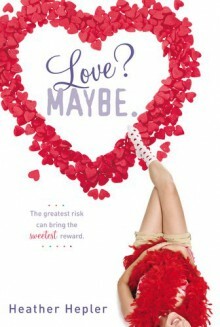 But true love never follows a plan, and a string of heartfelt gifts from a secret admirer has Piper wondering if she might be with the wrong guy. In this heartwarming romance, true love is more than a maybe - and it might be closer than you think. http://creativejunkie.booklikes.com creativejunkie 3.0 Love? Maybe. http://Bianca.booklikes.com Bianca 3.0 Love? Maybe.